I contacted David after reading the weekly Progress Notes of participants in IATF Leader As Coach Fast Track Program. Most of the program participants (leaders from around the world) reported having way too much to do and not enough time to do it. Turns out this is the life of most leaders. 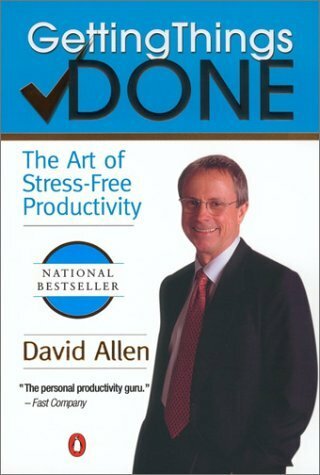 When you implement David's GTD (Getting Things Done) system you gain control of your life (personal and professional). The result? Less stress and more creativity. And if you think your life is too far out of control for David's system to help then you're mistaken. The GTD system has helped people in extremely challenging situations including an executive with more than 27,000 emails in his in-box! Learning the GTD system does take time and effort and no doubt there will be some who will proclaim "I don't have time to learn a new system for being more productive and living with less stress!" These are the same people Stephen R. Covey wrote about in his book "The Seven Habits of Highly Effective People". You remember habit number 7 "Sharpen The Saw" and the story of the man cutting a log with a saw who is briefly interrupted by a passing "consultant" who notices how poorly the saw is cutting because it's dull and when the consultant suggests the man stop and sharpen it the reply comes "Who has time to sharpen saws!? I've got too much wood to cut!" In the audio interview below you'll hear David Allen interviewed by IATF President Tom Heck during his visit to the summer 2008 session of the Leader As Coach Fast Track Program.